Here it is! 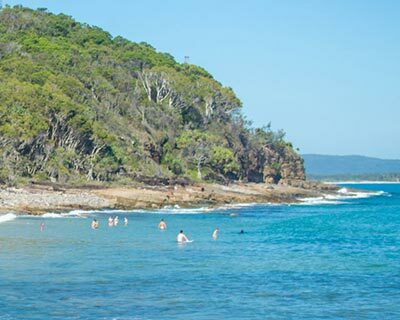 The top 50 things to do in Noosa. This should keep you busy for a couple of days. If you do decide to do any of the activities, then click the associated links. Loads of them have Low Price Guarantees so you won’t be able to do them any cheaper! Enjoy the list and enjoy your day. 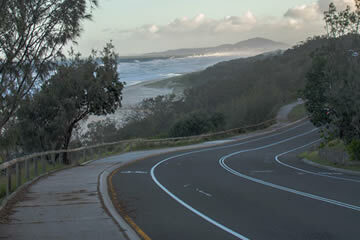 Noosa has some of the best longboarding waves in Australia. 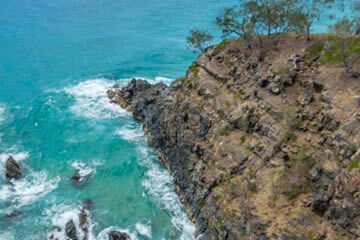 Whether it is hidden coves in the National Park, big open waves all to yourself, or the epic Tea Tree, Noosa’s surf is in a league of its own and the world recognises that. 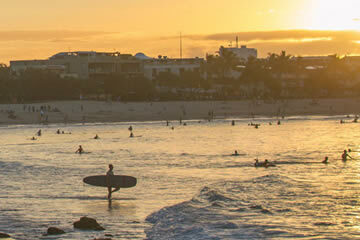 Noosa is the perfect place for pros and beginners alike. If you’re a pro, check out our surfing page for the best spots or keep an eye on our front page to let you know what’s bagging. If you have never tried surfing before then you need to. This is Australia for God’s sake! Try get out there for the sunrise over the Pacific Ocean, it will blow your mind. 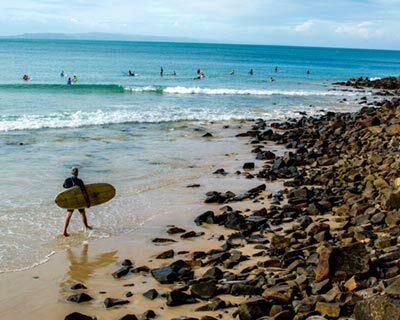 HOW TO SURF IN NOOSA - Learn to surf with a former World Champion at one of the world’s best surf schools. Super safe location, best coaching and best value for money. 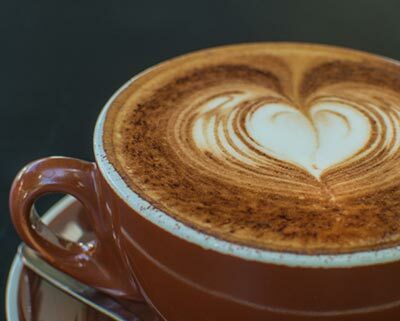 For the perfect start to any day, pick up a lovely coffee and head to the National Park to walk the Coastal and Tanglewood tracks. These stunning walks take you along the National Park coastline around the headland. The views are stunning, the air is clean, you’ll get your blood flowing… It is just a damn good morning. If you are lucky you’ll spot turtles, dolphins, koalas, whales and… turkeys. This is the most visited National Park in the country for a reason so get off your bum and check it out! 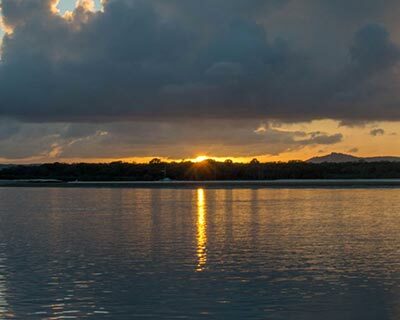 Noosa does good sunsets, really, really good sunsets. Check Instagram, it is littered with them. 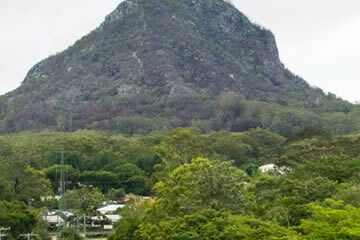 For the best one, and the best view of Noosa, head up to Tinbeerwah Lookout. Be sure to bring a spare breath because you’re about to have yours taken away (yes! What a joke!) It is just a short walk from the car park up to the lookout. This is also a great spot to view a full moon or lunar eclipse so stick around a bit. 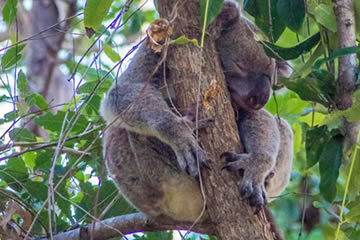 Noosa could not be any prouder of its resident koalas. There are thought to be about 30 in the National Park. These adorable bundles of fluff are often easy to spot if you know where to look. 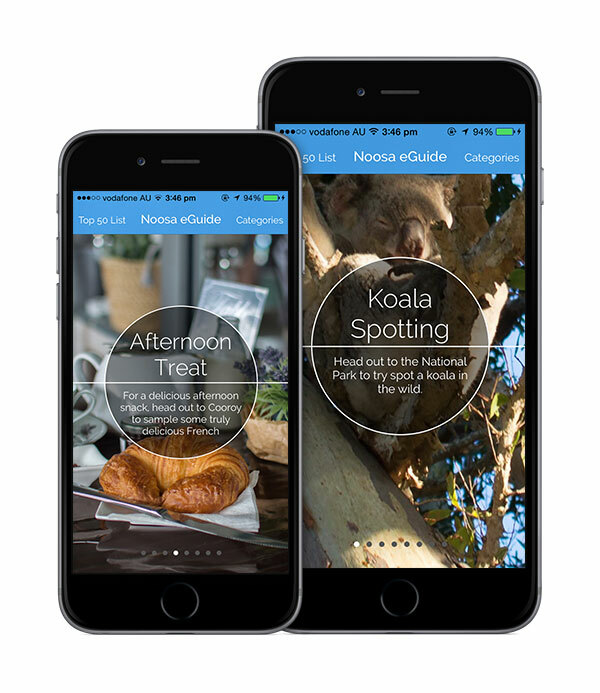 Check out our koala spotter section or the home page for their latest locations. If you want to have a go at finding them yourself, start in the National Park car park or try around the toilets at Tea Tree. Head to Bistro C between 3-5pm each day for cocktail happy hour. 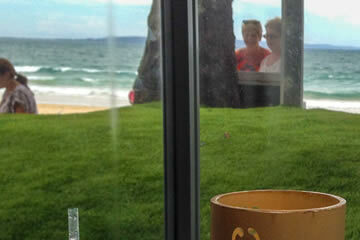 Enjoy a drink with the best view in town, overlooking the beach. Sipping a cocktail and watching dolphins glide by as the sun sets over the tranquil waters of the Pacific is pretty much every definition of paradise, so indulge yourself. After all you are on holiday. With an eclectic mix of local art, food, handmade furniture, clothing, pottery, bric-a-brac, antiques and just about everything, you are bound to find some little gem that you’ll cherish until you are old and grey. The market is wicked fun with loads to see and do for adults and kids alike. Check out local bands, stuff your face with local food, and have a chat with local artists. 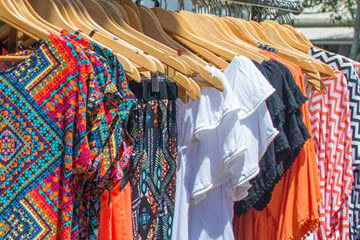 Eumundi is one of the most colourful Aussie markets with a great atmosphere and typically Australian vibe. Best to head out there on a Wednesday or Saturday morning. 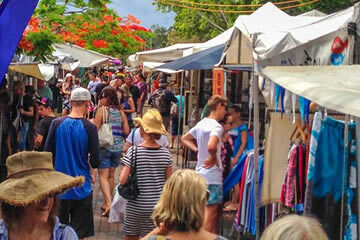 HOW TO VISIT EUMUNDI - Eumundi Market Round Trip Shuttle – Pick up and drop off at your Sunshine Coast Hotel. Stand up Paddle boarding (SUP) is a hoot for just about everyone. There is a reason it is the fastest growing sport in the world, mainly because it is so damn fun. 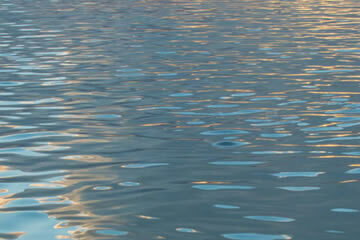 Take a lesson or hire a board and explore Noosa River’s waterways. If you are feeling a little more adventurous head out on the ocean and try catch a few waves. SUP! SUP! SUP! HOW TO STAND UP PADDLE BOARD - Private Paddle-Surfing Lesson. 1-on-1 lesson with experienced instructors on the calm waters of Noosa River and rolling waves at the idyllic Noosa Beach. You can't come to this part of the World without a trip to Fraser, the world’s largest sand island. Swim in the champagne pools, 4WD across deserted beaches, float down streams with water cleaner than Evian. 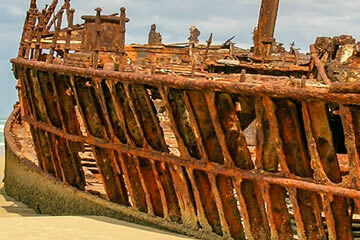 Fraser Island is an absolute must in Australia and an experience you will never forget. 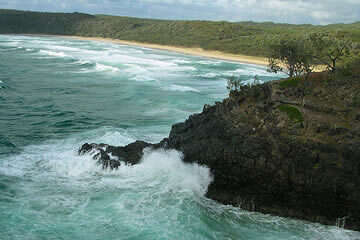 HOW TO VISIT FRASER ISLAND - Fraser Island 4WD Tour from Noosa. Drive along uninterrupted white sandy beaches, see ancient rainforests, crystal clear lakes and coloured sand cliffs in this UNESCO World Heritage Site. This is one of those things that we all want to do. We all have the best intentions and wish to do it more often, but when that alarm goes off, climbing Pomona seems like an easier task. Well consider this your wake up call. GET UP! Don’t give yourself five more minutes, GET UP! GET UP! GET UP! Go get a coffee and get down to the beach because when the sun starts to break over the ocean and you catch a glimpse of some dolphins, you will forget all about how tired you are and you will go home knowing that this was one of the most beautiful mornings of your life. 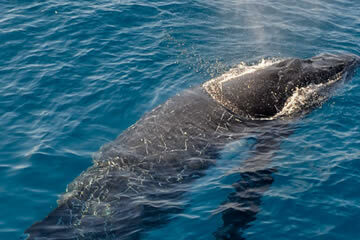 Between July and November keep your eyes peeled for humpback whales heading towards Hervey Bay from Antarctica. Find a spot high up in the National Park or at the surf club at Sunshine Beach for the best vantage points. If you can't see them, don't worry. Head to the open beaches and swim underwater. You can almost always hear their singing at this time of year. If you hear them singing out of key, then there is a good chance that whale will get lost. It is how they navigate. Whales are awesome. HOW TO SPOT A HUMPBACK WHALE – Whale Watching Cruise. Enjoy exciting, up-close encounters with humpback whales as they migrate through crystal clear waters. 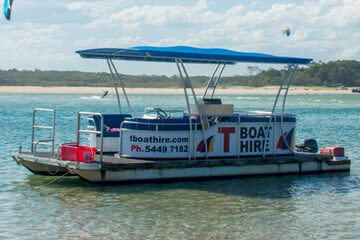 Hire a boat along Gympie Terrace, pack a picnic and find a quiet sand bank on the gorgeous Noosa River. Make sure to bring your swimmers, and a Frisbee. 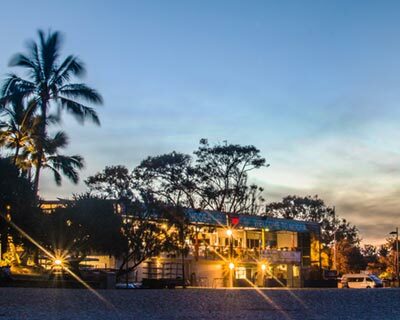 Explore the canals and see the multimillion dollar houses or head to the dog beach for a tranquil swim. 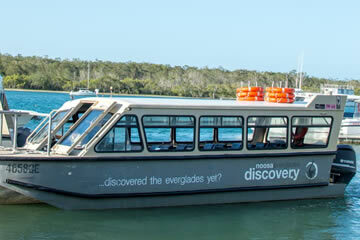 HOW TO SPEND THE DAY ON NOOSA RIVER - Noosa River and Everglades Afternoon Tea Cruise. Enjoy cruising along Lake Cooroibah and Lake Cootharaba, see native wildlife, swim in dark tannin waters and enjoy afternoon tea at Harry’s Hut. For some reason, unknown to us, after one festive season the council decided not to remove the Christmas lights. Like moths to a flame we the people gathered and it wasn’t long before these twinkling bulbs of delight became a permanent fixture in our humble town. 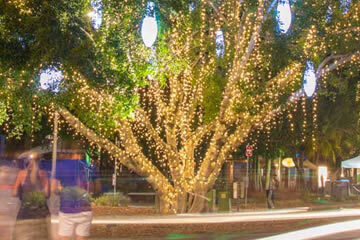 Now you can walk down Hastings every night and enjoy the beautiful lights. Before you leave, be sure to take THE photo in front of the tree at the entrance to the Hastings Street. Snag a table, pop open the champers, sit back, relax, open your picnic and watch the sun set as surfers and dolphins do their thing, right below you. This is the perfect place to spend a beautiful evening with friends, a loved one, or just enjoying the view by yourself. 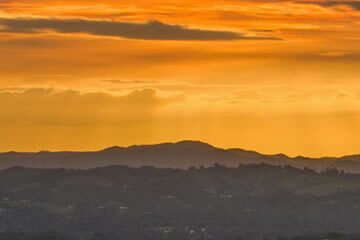 For an amazing day out, drive to the hills around Montville and Maleny. Sample the tea houses and quaint shops or hike to the waterfalls and rock pools of Kondalilla through tropical rainforest. This is a fantastic daytrip with so much to see and do, you’ll want to come back for more. 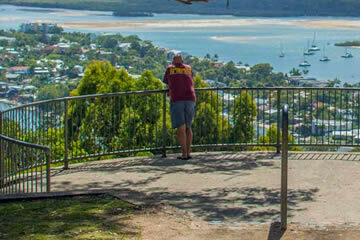 HOW TO VISIT MALENEY - Sunshine Coast, Montville and Maleny Village Tour. Experience the culture, heritage and natural beauty of the Sunshine Coast, visit quaint villages and take in stunning vistas and panoramic views of the Glass House Mountains. We love our little beach town here but an added bonus that often gets overlooked is just how good Noosa is for star gazing. With very little light pollution you can get a stunning view of the Milky Way and beyond. 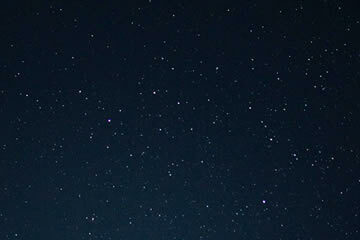 Find a nice spot on the sand and see how many shooting stars you can spot. You should on average see one every 18 minutes if you are patient. There are tonnes of picnic huts and free BBQ's along the river front (Gympie Terrace). Grab one in the morning for the perfect brekky spot overlooking the river, then cool off by having a swim in the beautiful water. Alternatively, cook up a storm as the sun goes down and you are with your friends and you are having a couple of beers and by God life is good, isn’t it? . 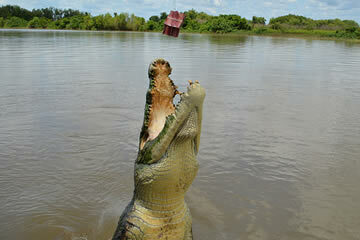 You've just gotta go if you like animals and want to see a crocodile. It gets busier on weekends and holidays but you’ll have more chance of seeing the Irwins perform the croc shows themselves. All their shows are fantastic and always a blast to watch. A Sunshine Coast treasure. HOW TO VISIT AUSTRALIA ZOO - Australia Zoo 1-Day or 2-Day Admission Ticket. Home of the Crocodile Hunter, Steve Irwin! The unique zoological facility is home to over 1200 animals on nearly 100 acres of natural bushland. An Australia ‘must’. 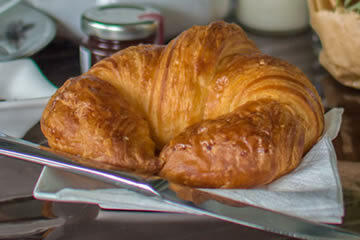 For a delicious afternoon snack, head out to Cooroy to sample some truly delicious French pastries. Take life easy, grab a delicious single origin coffee and a warm crisp croissant and read your book in the lazy afternoon sun. 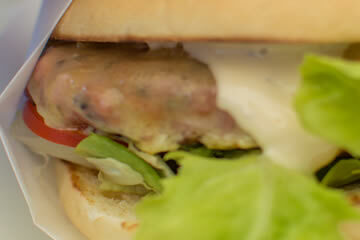 It is a bit of a hidden gem this one, so fill your belly knowing not every tourist will be having so much fun. Cooroy also makes a great place to visit on a rainy day. If there is one thing Noosa doesn't have a shortage of, it's coffee shops. 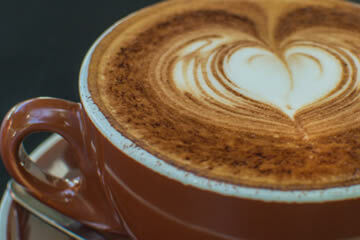 We are blessed with some truly world class coffees and baristas here. In fact we are known for it. If you enjoy a medium roast, single origin Arabica from Kenya pulled with perfect mouse tails for 22 seconds, then you are in luck, because we can do that here. For our top picks head to the coffee section on the categories page. Without a doubt the best ice cream in town, probably Australia and quite possibly the world (Sorry Italy!). On a hot sunny day there is nothing better than taking a stroll down the beach while stuffing your face with every kind of chocolate. If you come to Noosa, you have to try this. If there is a line (and there often is), be patient. Ice Cream comes to those who wait. 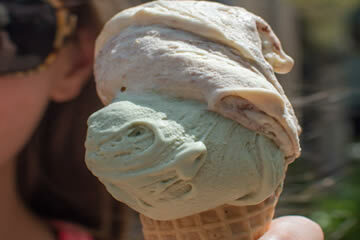 Our personal favourite is the Ferrero Rocher flavour on a waffle cone, yummmmm. There are two types of people in the world, those that battle the several hundred stairs to get up to Noosa Heads Lookout and those that drive. Whichever one you are, make sure you check out this awesome view of the waterways, the town and the ocean. It is stunning. This is also an awesome spot to see koalas as well, there have been a few sighting recently. So decide which type of person you are and get up here! Speed up on a boat, rent some Canadian Canoes or 4wd to Harry's Hut. It’s worth exploring the still, dark, tannin waters of the Noosa everglades. Excellent fishing and exploring all around this area and a great place to see good old Aussie wildlife in it’s natural surroundings. A fun day out on the water. 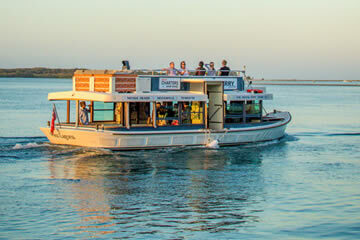 HOW TO EXPLORE THE EVERGLADES - Noosa River and Everglades Afternoon Tea Cruise. Enjoy cruising along Lake Cooroibah and Lake Cootharaba, see native wildlife, swim in dark tannin waters and enjoy afternoon tea at Harry’s Hut. For an 80% chance of seeing a turtle, head to Hells Gate. It is a great 2.5km walk along the Coastal Track in the National Park and has wicked views over the ocean. 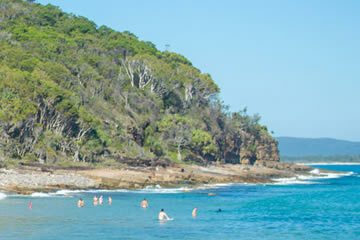 The Coastal Track is actually our favourite walk in Noosa! When you reach Hell’s Gate, look down into the treacherous waters, be patient, and wait for one of those funny creatures to pop their heads up. Fun turtle fact – Turtles have fins whereas tortoises have feet. 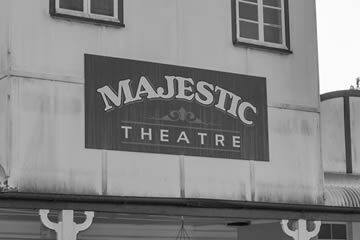 The oldest silent movie theatre in the world! Not too sure how much competition there is for that title, but still pretty cool. If you are under the age of 90 you have probably never seen a silent movie before unless your annoying brother is trying to sleep next door so you have to watch Shrek with the subtitles on. Either way this is an awesome new experience and one you’ll remember. Keep an eye out for acoustic concerts held here as well. 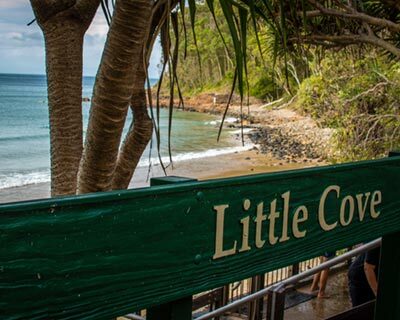 Finish your day by surfing or floating in the water at Little Cove surrounded by lush trees and beautiful views of Noosa. 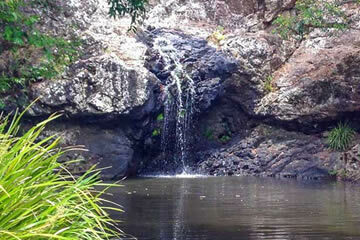 Swim or walk around the corner from Hastings Street on your way to the National Park. Such a great way to wind down for the day and gear up for the afternoon. We know it is on your bucket list. It is on everyone’s bucket list. Don’t be a wimp. Now is the time to tick it off. First of all, it is stunning. from the plane you can see all the way from Brisbane to Fraser Island. Secondly it is terrifying. Jump out and free fall for 60 seconds. Thirdly, it is sooooo much fun. You’ll land right on the sand at Coolum Beach. Fourthly, you will NEVER forget it. 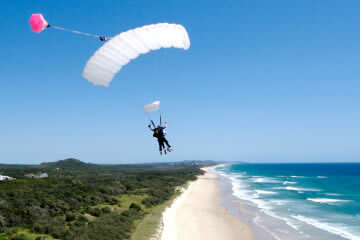 HOW TO SKYDIVE – Tandem Skydive Coolum Beach. Choice of three heights, experienced instructors, birds eye view of the coast, seaside landing. 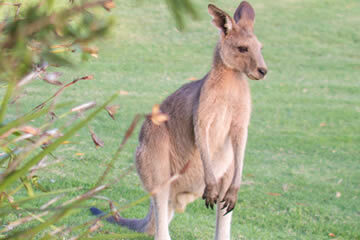 Ok, notebooks out, here are the best spots to see a kangaroo. 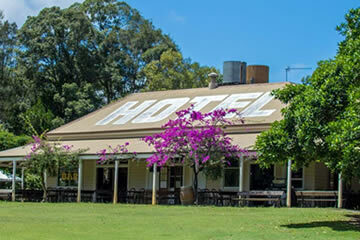 Elanda Point Camp Ground, Tewantin Golf Course, Noosa Par 3, Walking tracks on Mount Tinbeerwah and if you are really desperate head to Sunshine Coast Uni. Just don't get too close, wild kangaroos pack a serious punch. They seem to prefer early mornings or late afternoons to come out and they enjoy exploring on rainy days. Best of luck. 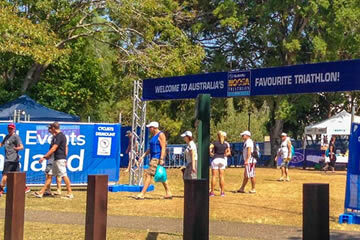 The highlight of the sporting year in Noosa and famous worldwide. Asics even have a shoe named after it! So join thousands as they take to the canals and roads to complete on this world class course. Swim around multi-million dollar homes, cycle along the river and out to Cooroy, then run around the streets of Noosa competing against some of the world’s best. This event sells out every year and pulls the biggest names in the sport so sign up quick sharp if you want to have a go. What a view! What a view! Bring your cameras because what a view! Getting to the top only takes 10-30min and gaze out over the Pacific Ocean. This climb is super popular with the locals in the mornings and afternoons, but if you do manage to get it to yourself then do what we all want to do when we get to the top of a mountain; scream ‘I’M THE KING OF THE WORLD!’ and hope you don’t pass anyone on the way down. Many things in life get egged up too much (ha ha ha); the ending of lost… The Godfather… The English football team… So it is rare then, when some beautiful thing comes along that actually meets or exceeds its hype. Well guess what? 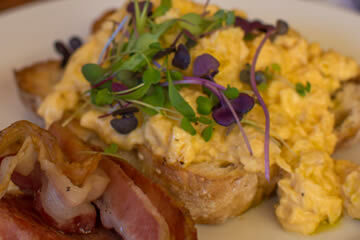 The scrambled eggs at Siroccos are the best scrambled eggs you will ever eat in your life. There, we said it. It’s true. Served with truffle salt and crunchy toast… it’s making me hungry just writing this out. 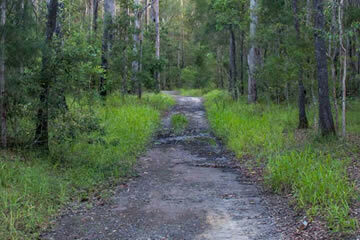 After a recent overhaul with a whole heap of new trails, obstacles, ramps and all sorts, the Tewantin State Forest is a must for the biking fans out there. With tonnes of hills and routes to explore you are going to love it. All aboard the Thriller speed boat for 500hp of pure adrenaline! That will get your blood flowing. 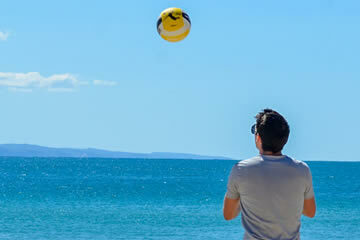 Alternatively, hire a jet ski, and see the best view of Noosa from the ocean. 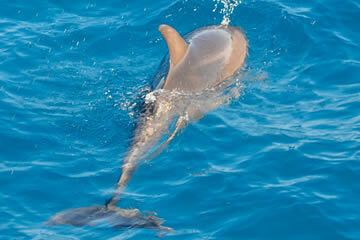 Blast around the National Park, jump waves and spot a huge array of wildlife. Wicked fun. HOW TO GO FOR A SPEED BOAT RIDE - Mooloolaba Jet Boat Ride. Race along the open ocean on an adrenaline fuelled jet boat ride from Mooloolaba. Try to plan for calm weather and head out into Laguna Bay to tackle (pun intended) some monster fish on the surrounding reefs and drop offs. 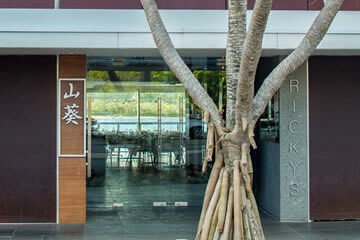 This is a great spot for experienced fishermen and lovely place to learn. If you have never been deep sea fishing, it is one hell of an experience, so don’t miss out! HOW TO GO DEEP SEA FISHING – Deep Sea Fishing Charter From Mooloolaba. Fish with experienced local crew and bring home fresh fish and crab. Chuck a Frisbee, fly a kite, build a sand castle, dig a hole, or set up a volleyball net and challenge the life guards. Just make a day of being at a beautiful beach, playing in the sand and having some good old fashioned fun. Burying someone in the sand… That is our personal favourite. The perfect Sunday afternoon. Play cricket on the lawn while before chowing down on pig that has been spit roasted, with all the trimmings as you guzzle down a good real ale. Bring your family, appetite and some fun lawn games and you will fit right in. There is no better way to see the river than by getting in a boat and gliding through it. 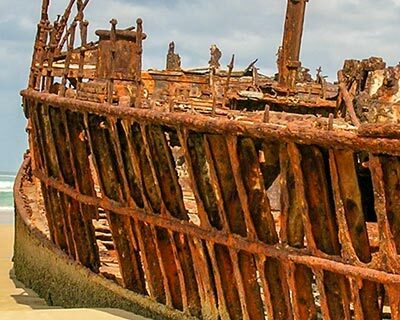 With plenty of hidden waterways to explore you will never be short of something interesting to see and do. Get close to the birds, aquatic creatures and other Aussie wildlife in an incredibly peaceful, yet beautiful way. 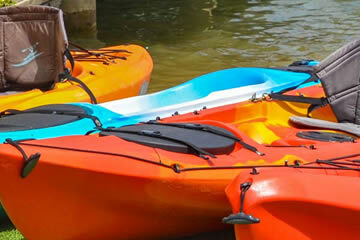 HOW TO VISIT NOOSA RIVER - Noosa Everglades Canoe Trip With BBQ Lunch. Canoe the Cooloola section of Great Sandy National Park and River of Mirrors. 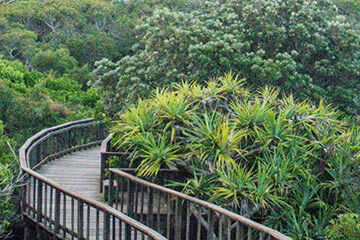 Spot native wildlife and enjoy a BBQ lunch at Harry’s Hut. Drive down David Low Way along this stunning ocean road. 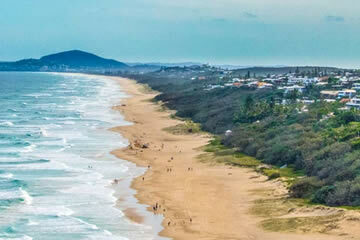 Stop along at Sunshine Beach, Peregian or Coolum for a bite to eat or find a sneaky car park and enjoy a huge stretch of beach all to yourself. 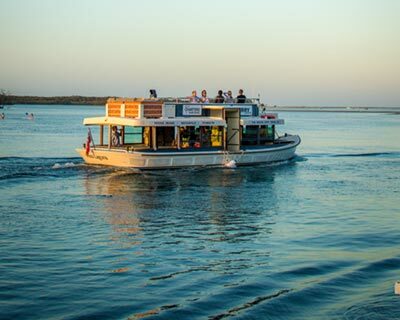 Hop on and off the ferry starting at the Noosa Marina. Take some drinks and snacks and aim for the sunset cruise to Hastings Street and back. It is a beautiful atmosphere along the river at that time of day and the sunset is gorgeous. If you like taking life easy, you will love this.. Explore the hidden under water world of Laguna Bay. Huge turtles, schools of fish, mackerel, wobbygons, the works. There are loads of dive sites under 20m with some deep dives out of the bay and plenty of reefs to explore all year around. 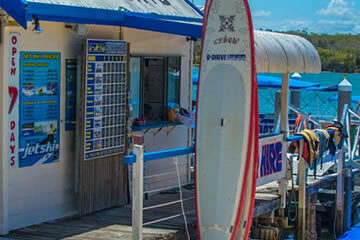 Noosa is a great place to learn to scuba dive if you have never done it before but also awesome for fun dives as well. 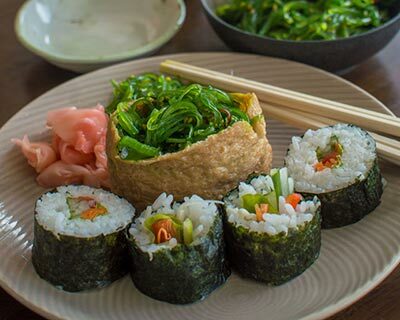 Wherever you are in Noosa, you are not be far away from a 5 star culinary cabaret. Walk along Gympie Terrace, or take a chance on a restaurant on Hastings Street fill your belly with all the delicious food. Other good spots are Sunshine Beach or Quamby Place. Check out our Fine Dining category for our personal favourites. Fancy an adventure? 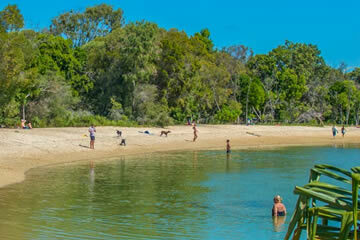 Cross the river on the barge at Tewantin, lower the pressure in your tyres and hit the sand. You can drive for almost 100km up the pristine beach without needing to stop. 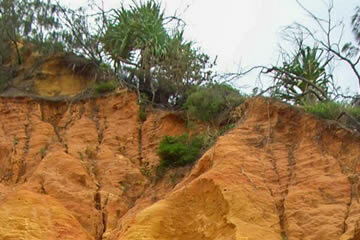 You’ll want to though because there is excellent fishing and climbing the sand dunes is really fun. HOW TO 4WD – The Great Beach Drive: 4WD Tour. 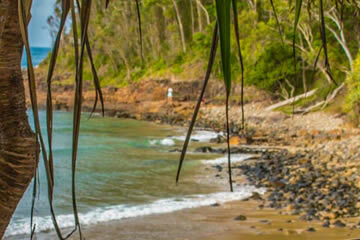 Explore the Scenic Sunshine Coast on a 4WD excursion along the long sandy beach between Noosa and Rainbow Beach. To be honest this should be way higher up the list but we needed to save something amazing for the end. Tea Tree is quite literally the perfect beach. It doesn't get any better for surfing, swimming, sun baking or track down a koala. Pristine sands, pandanus trees all around, crystal clear water… Paradise. 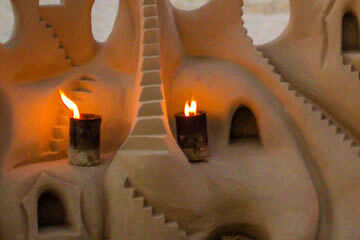 Every day in the warmer months you can see the amazing skill of artists/architects building insanely beautiful sandcastles between Berado’s and Bistro C. So tempting to just kick one over but of course I don't. It’s a solid work of art and I’m not the bully from The SpongeBob Movie. The latest craze to sweep through Noosa. 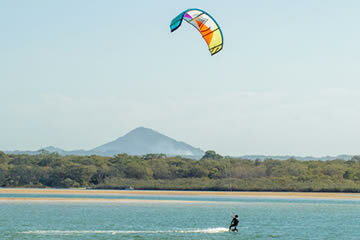 On a windy day adrenaline junkies flock to the Noosa River to fly through the air and jump the waves. Best places are the river mouth and Lake Cootharaba on a windy day of course. For a calmer area to learn, try the sand banks at Munna Point or book a lesson with one of the local schools. 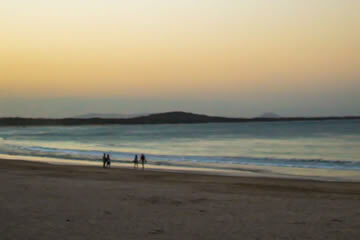 One of our favourite beaches in Noosa. Even if you don't have a dog its worth visiting this beautiful sheltered beach, just inside the river mouth. Swim around the sand banks, throw a Frisbee, snorkel along the rock wall and watch all the awesome dogs messing around. If you do have a dog that's even better, it will have a hoot playing with all the other little cuties in the sand. You've had a big day exploring, now it’s time to unwind. There are so many massage and spa treatment places around Noosa but our favourite is the massage tent right on Main Beach. 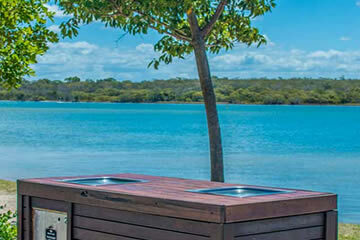 Other options include Noosa Springs, Sheraton Hotel or the South Pacific Resort. Check out our Featured Today page, we often have deals on spa treatments. 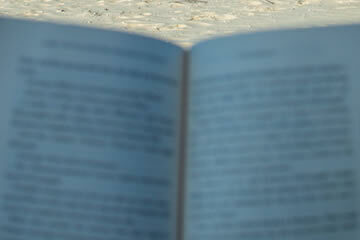 A shady spot under a pandanus tree with a good book sounds like just a wonderful way to spend an afternoon in paradise. With so many hidden coves and bays to explore, you will no doubt find the perfect spot to relax and get stuck in a good book..